Crystal Book Series Available Now! This children’s book about gemstones, is perfect for young readers ages 8-10. Meet Crystal and her beagle buddy, Noodle. Love rocks and gemstones? 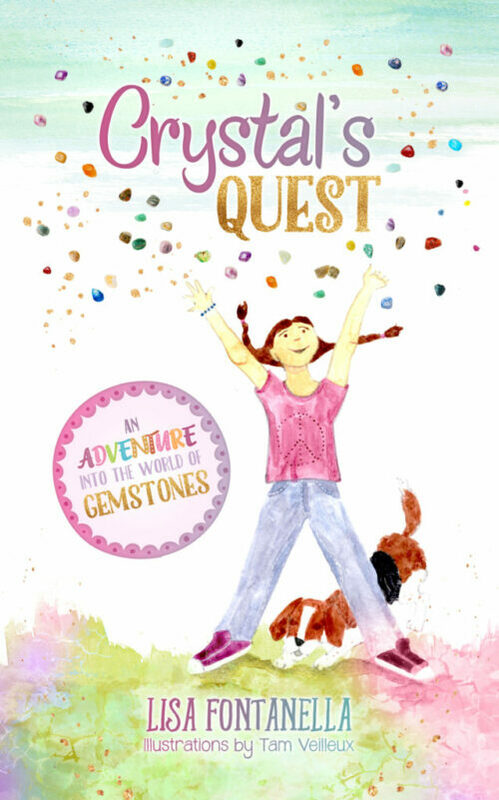 Crystal’s Quest: An adventure into the world of gemstones is the book for you! This children’s book about gemstones was written for young readers ages 8-10, the young at heart and anyone who loves rocks and gemstones. Crystal’s Quest is a story about Crystal and her beagle buddy, Noodle, friendship, emotions and the amazing properties of gemstones. Each story revolve around Crystal and her beagle buddy, Noodle, and all the characters they meet. This sweet and educational children’s book not only has fun facts about geology and gemstones, but it also covers social issues about fitting in and accepting yourself for your uniqueness. Each of the characters that Crystal and her beagle buddy Noodle meet are struggling with a life challenge. One character needs to learn about generosity, one bravely uses their voice to do what they love, another realizes that self-acceptance is OK and yet another discovers that other people sometimes get the blues. Crystal LOVES rocks and gems. Noodle HATES peas. Crystal shares her knowledge and insights about rocks to encourage and inspire new friends like Quackers the Duck, Bandit the Goat and many more! Each character receives a rock, especially chosen by Crystal. 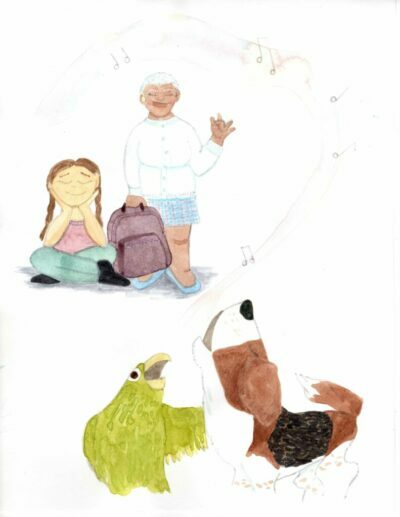 In the second chapter of the book entitled SING, Crystal’s grandfather (Grandpa Dan) told Crystal and Noodle to go to the animal adoption center where they would find someone who needs encouragement. When they got to the back of the center, Crystal and Noodle looked around to see who Grandpa Dan wanted them to meet. Suddenly, lively music started playing. Noodle just LOVES music! He excitedly ran in the direction of the music with a happy beagle face and a wagging tail. Then Crystal and Noodle heard a very loud, “SQUAWK! SQUEEK!” Noodle put his paws over his ears to block out the loud singing. 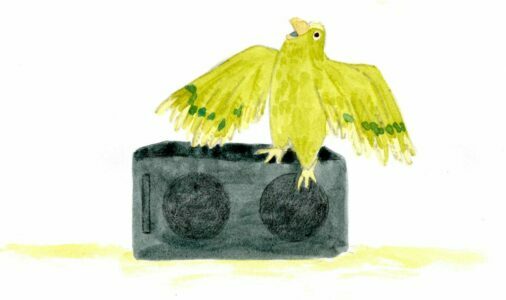 They looked up and saw a beautiful, green parrot singing and dancing to the music. He was having so much fun! “Who cares what people think? You love to sing, so you should sing,” Crystal told him. “All you need is some confidence.” Crystal reached into her pocket and pulled out the rock that Grandpa Dan chose. The blue and green rock called chrysocolla was the perfect rock for the parrot! “This will help you be more confident and brave,” Crystal said, as she put the rock near the parrot. Crystal wasn’t sure what else to say to encourage the parrot, but Noodle had an idea. All of a sudden, Noodle burst into song. “AHH – OOOO! AHH – OOOO! AHH – OOOO!” Squawk slowly lifted his head and quietly started to sing. As Noodle continued, the parrot sang louder and louder. Noodle and the parrot were singing a duet. A very loud duet! Do Noodle and Squawk get to finish their duet? Does Squawk get adopted? Find out in in the children’s chapter book Crystal’s Quest: An adventure into the world of gemstones. Every chapter contains a quest story, Crystal’s journal page, and ending with a page that has the geology, geography and history of the rock in the chapter as well as a full color photo. The last page also includes a tear-out bookmark. 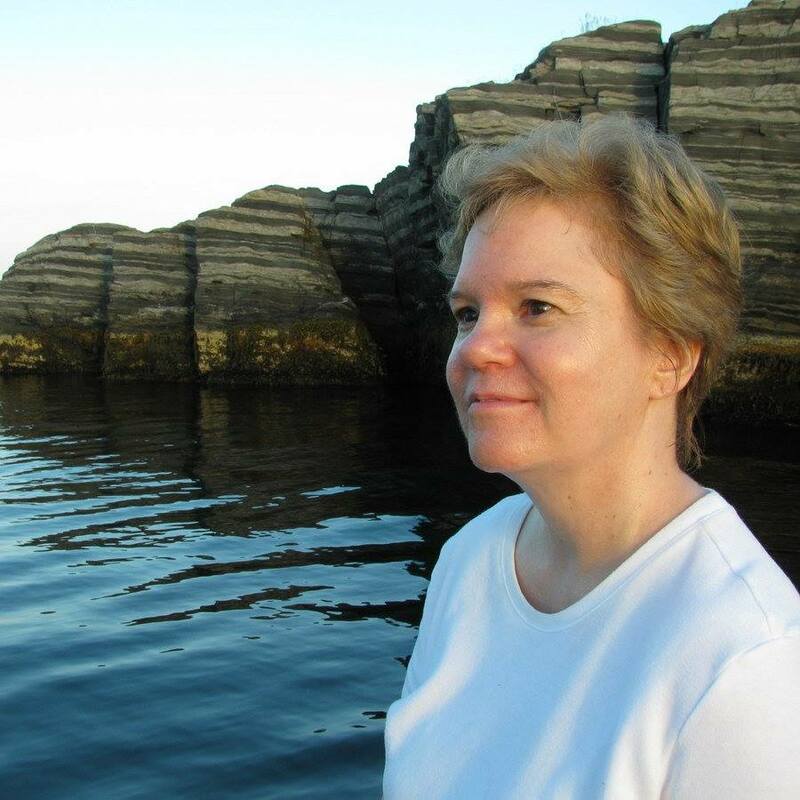 Lisa Fontanella is a certified Life Coach and Intuitive and enjoys helping clients discover and embrace their best selves. She’s a proud Author of the children’s chapter book about gemstones, Crystal’s Quest and is a Master in the practice of Reiki. 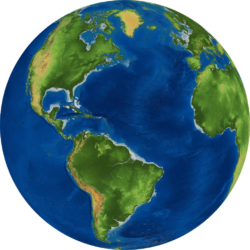 Looking for Guidance in Life or Career?